Can the comic-book assassin Deathstroke take on gun violence in Chicago? Before he could accept an offer to become the writer for a new Deathstroke series, veteran comic book writer Christopher Priest first had to look within himself and decide whether he could take on being the voice behind one of DC’s most violent characters. 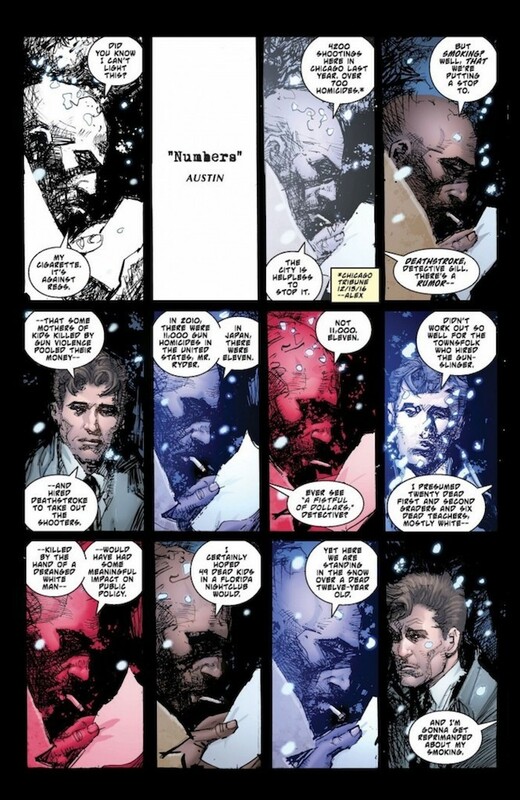 Priest eventually decided to become the writer for Deathstroke’s new series that debuted last August as a part of DC Comics’ “Rebirth” era, but told himself the only way he could do it would be to turn the series around so that the book didn’t feel like a glorification of violence, but rather a character study on the effect living the lifestyle of an assassin has on that person. For “Deathstroke No. 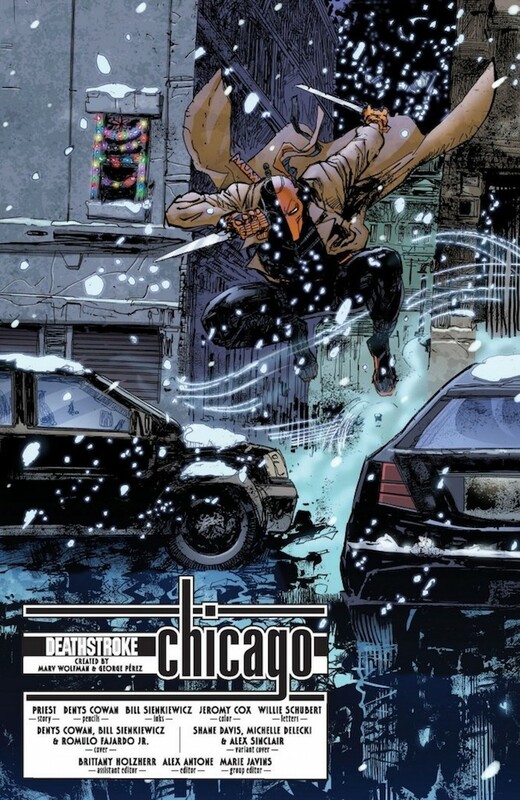 11,” now available both in print and digitally, Priest takes a break from that mission and for one issue focuses on a real-world topic that frequently weighs heavy with him: Chicago’s gun violence. Before sending Deathstroke to Chicago, Priest reached out to director/producer/writer Reginald Hudlin (director of “House Party” and “Boomerang”). Hudlin made comic book news two years ago when Comic Riffs revealed that he would lead the efforts to resurrect Milestone Comics (now Milestone Media), a diverse group of comic book superheroes of color. Priest said he felt a Deathstroke-in-Chicago story dealing with gun violence had a Milestone vibe, and wanted to know whether Hudlin was interested in collaborating with him on it. Many ideas where exchanged, but Hudlin couldn’t find time to help co-write the issue because he was too busy directing “Marshall,” a yet-to-be-released biographical film on the first African American Supreme Court justice, Thurgood Marshall. That didn’t stop Priest from finding another Milestone collaborator — artist Denys Cowan, a founder of Milestone who illustrated many of their comics and who last worked with Priest during their run on the series Steel (which ended in 1998) for DC Comics. 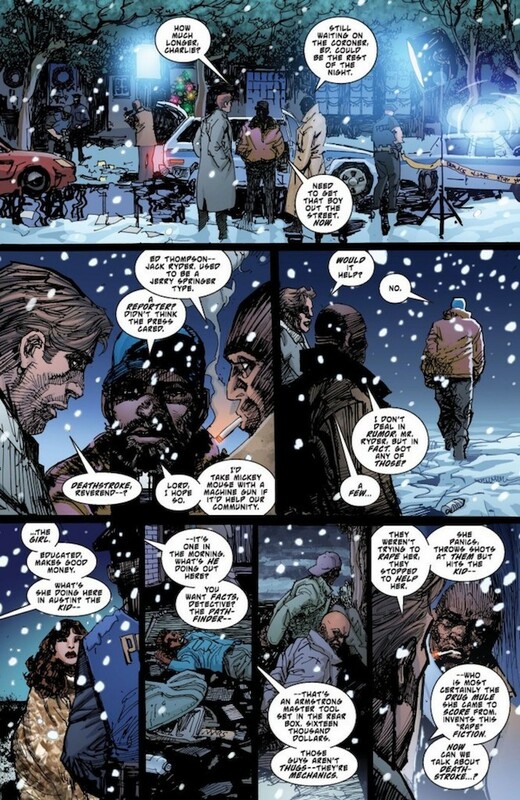 Cowan accepted the one-issue assignment and dove into drawing a script that was more of a look into part of Chicago’s soul than Deathstroke’s. 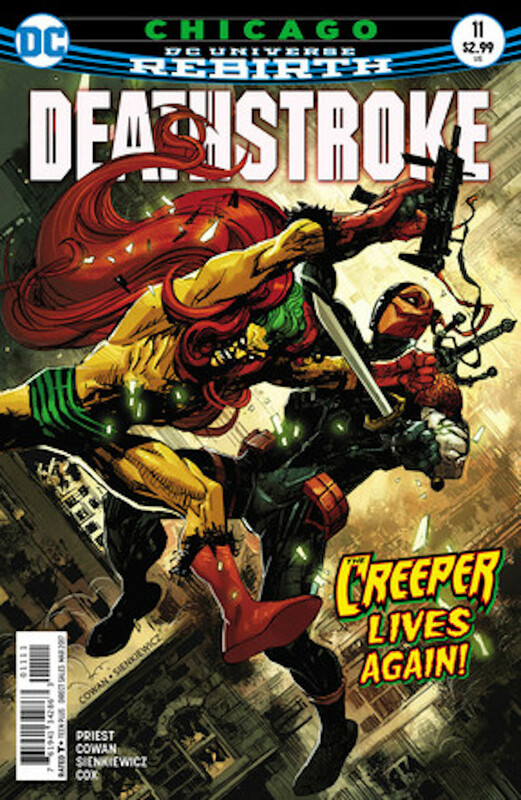 Priest uses a reporter to investigate rumors that the families of shooting victims have hired Deathstroke to take out the armed killers of their children. 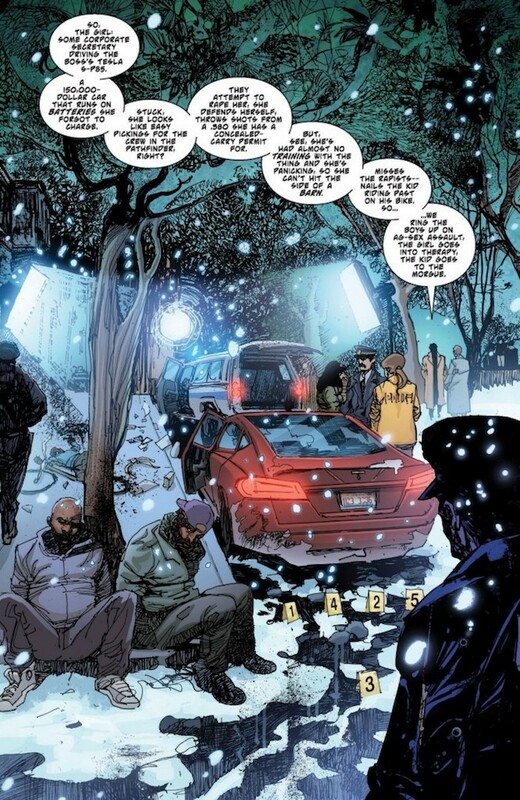 Deathstroke is mostly silent through the issue, while Chicago citizens debate whether an eye for an eye can ever be the right way to answer back to violence. Cowan told Comic Riffs that he knew when working on Deathstroke No. 11 that he was getting away from the standard superhero comics he has become accustomed to illustrating over the years.